Sellassie U I can only hope that with time it will be understood that I am against both -- the Soviet and the American communism. I saw them both. I hope that readers can see that my disliking of communism has nothing to do with my understanding that communism is our future. Ex-Soviets do return to the main stream of the (western) civilization and it's good. What is not good that is we didn't understand the universe they are coming from -- the Soviet Reality. Enough is said and written about the horrors of Real Communism, not enough about the intentions of the inhibitants, the litlle people like me. The Evil Empire was built and ran by us. If you will detect some sad intonations on the pages of Father-Russia, please, it's not a nostalgia; after all it was my life. Life of many. The only life we knew. Rozanov: "В революции никогда не будет сегодня ибо всякое завтра ее обманет и перейдет в послезавтра" ("Опавшие листья"). Anticommunism dominated American domestic politics in the late 1940s and 1950s, when it was transformed by the cold war from a right-wing to a mainstream ideology. It was composed of many strands, each with its own definition of the communist menace and its own formula for combating it. The American Communist party also had a hand in shaping the opposition it encountered. Although never a serious threat to the nation's security, the party's ideological submission to the Soviet Union and its penchant for clandestine activities seemingly justified the campaign against it. But the scope of that campaign went far beyond the needs of national security. Political conservatives took advantage of the party's association with a wide range of social reforms to mount an attack on the entire Left and on the legacy of the New Deal. The social unrest that followed World War I coincided with the founding of the Communist party and precipitated the first wave of explicit anticommunism, the red scare of 1919-1920. This crackdown, like earlier outbreaks of political repression, focused on foreigners and labor unions. Immigration officials rounded up and tried to deport thousands of foreign-born radicals, and many employers used red-baiting to break strikes. The repression succeeded, and, during the 1920s, neither the American Communist party nor the rest of the Left had any significant influence. But in the following decade, the onset of the Great Depression and the rise of Adolf Hitler spurred the party's growth. In accordance with an international Communist policy known as the Popular Front, the party tried to create a broad coalition against fascism. By muting its revolutionary rhetoric and supporting President Franklin D. Roosevelt and the New Deal, it attracted many middle-class idealists. Others joined the party to organize labor unions or stop Hitler. 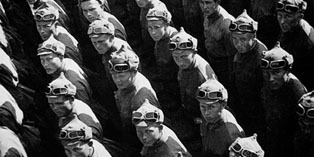 As a result, it was easy for right-wing opponents of the social changes of the 1930s to attack them as a Communist plot. But such charges had little impact. Many Americans, though never tempted to become Communists themselves, nonetheless tolerated the party. That toleration disappeared in 1939 when, as a result of the Nazi-Soviet pact, the Communist party opposed Roosevelt's foreign policy and the Popular Front disintegrated. Liberals, who until then had defended Communists against the Right, turned against the party themselves, transforming anticommunism into a more widespread enterprise. Labor unions, universities, private organizations, and governments at every level ousted Communists from their ranks. A broader purge would certainly have occurred had Hitler's invasion of Russia in June 1941 not changed the Soviet Union into an American ally. Liberty is always unfinished business. --anonymous The coming of the cold war resuscitated domestic anticommunism and made it central to American politics. Because of the Communist party's connection to the Soviet Union, it was now seen as a threat to national security. A consensus developed based on several key assumptions: that all Communists owed their primary loyalty to Moscow; that they unblinkingly followed the party line; and that they would, whenever possible, work to subvert the American system. There was just enough substance to these charges to make it possible for this otherwise unrealistic image of American Communism to gain currency and fuel the demand for its exposure and elimination. Although the campaign against communism took place on every level, the most effective initiatives came from the federal government. In 1947, the Truman administration promulgated a loyalty-security program that barred Communists or people who associated with Communists from government jobs. At the same time, the Department of Justice brought criminal prosecutions to bear on the party. It tried to deport foreign-born Communists and, in 1948, indicted and convicted the party's top leaders under the Smith Act, a 1940 law prohibiting the "teaching and advocating" of subversive doctrines. Several hundred Communists went to jail. Congressional committees, especially the House Un-American Activities Committee (huac), investigated supposed Communist subversion throughout American society. The Supreme Court, despite the serious constitutional issues involved, placed few restrictions on the anticommunist campaign. This official activity legitimated a witch-hunt. Politicians, abetted by sympathetic journalists and other interested parties, used the charge of Communist infiltration to implement agendas that often bore little or no relation to national security. 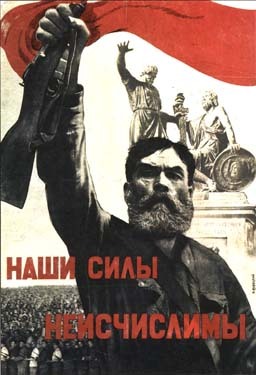 As the anticommunist campaign spread, the civil liberties of many people were threatened. This occurred primarily because of the widespread belief that communism so endangered the nation's security that the rights of individuals, especially of those supposed to be Communists, could be ignored. The structure of the anticommunist campaign, with its two-stage procedure of first exposing and then punishing alleged subversives, diffused responsibility for the repression. Official authorities like huac and the fbi usually handled the first stage by identifying the tainted individuals, and employers usually handled the second by firing them. The party's insistence on secrecy made the exposure of its members the central feature of the anticommunist crusade. Because Communists had been part of a larger political movement that encompassed an entire constellation of left-wing causes and organizations, investigators assumed that all participants in the larger movement belonged to the party as well. Reactionary and overzealous investigators expanded the definition of what constituted a communist activity until it came to include anything from appreciating the paintings of Pablo Picasso to speaking out for the Bill of Rights. Anticommunism was used for partisan purposes as well. The Republican party sought to capitalize on a few cases of alleged Communist infiltration of the New Deal. Ambitious politicians like Joseph R. McCarthy asserted that the Democrats had been "soft" on communism and had "lost" China after the war. There was no truth in these charges, but they put the Democrats on the defensive and, especially after the Korean War broke out in June 1950, made them afraid to challenge the anticommunist crusade and the abuses that accompanied it. By the late 1950s, the furor had subsided. Zealots and opportunists like McCarthy had given anticommunism a bad name. And it was clear that the enfeebled and internally divided Communist party was no threat to national security. But the crusade had taken a toll. Not only had thousands of people lost their jobs, but political dissent had almost disappeared—an ironic result at a time when the United States was combating communism throughout the world in the name of freedom and democracy. David Caute, The Great Fear: The Anti-Communist Purge under Truman and Eisenhower (1978); Kenneth O'Reilly, Hoover and the Un-Americans (1983). In 1993, President Clinton signed Public Law 103-199, authorizing a memorial in Washington to those who died in the ``unprecedented imperial Communist holocaust'' that began in 1917. It is a memorial long overdue. And it is well-suited to Washington, the capital of the Free World and the headquarters of what President Kennedy called the ``long twilight struggle'' against the totalitarians of the Left. When completed, the Victims of Communism Memorial will include a museum documenting the crimes committed by the disciples of Marx and Lenin; original artifacts from the bitter night of Communist brutality (a piece of the Berlin Wall, a cell from the ``Hanoi Hilton''); and a database preserving the names of those wiped out in history's greatest slaughter. Or at least as many of those names as can be identified. It is impossible that we shall ever know them all. Every one of the hundreds of thousands of Cossacks butchered on Lenin's orders in 1919? Every Miskito Indian killed in Nicaragua under the Sandinistas? Every Chinese peasant, all 2 million-plus of them, obliterated during Mao Zedong's ``land reform'' in the early 1950s? Impossible. Half a century later, even as he denounced the extremes to which his predecessors went, Nikita Khrushchev vowed that the terror so esteemed by Lenin would go on. ``The questioning of Stalin's terror,'' he cautioned the Twentieth Party Congress in 1956, ``may lead to the questioning of terror in general. But Bolshevism believes in the use of terror.'' Not long afterward, Khrushchev sent 3,000 Soviet tanks to crush the Hungarian freedom fighters. Communism equaled murder in Ethiopia, where Mengistu Haile Mariam became dictator in 1977 and embarked on what he called his ``Red Terror.'' Tens of thousands were massacred, including the graduating seniors of almost every high school in Addis Ababa. Anti-Communism Page @ Sellassie Cyber Museum. This film is part two of a television program of lectures given by Dr. George S. Benson, the president of Harding College in Searcy, Arkansas. In this program, he redefines the meaning of peace from the point of view of communism. Communists are promoting peace fronts to get Kennedy to eliminate atomic weapon power, since they are stronger in manpower. Peace to a Communist means eliminating capitalism and Communists will engage in this cold war until they can compete in a "hot war". Co-existence to a Communist means, "you leave me alone until I'm strong enough to knock your block off", which Dr. George S. Benson predicts they could compete with us in atomic power by the years 1970-1975. 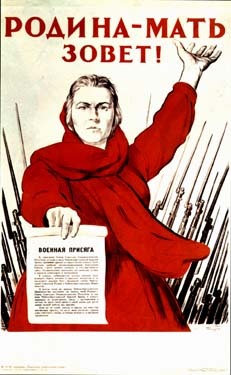 They will fight the cold war and fight capitalism by going undercover and gaining leadership over many non-communist organizations, by infiltrating employees and alienating them from their employers, and by concentrating on women's organizations and appealing to colored workers, appearing to be the party of the collective and the worker.